Kerlingarfjöll is the name of the area which is located between the two glaciers Langjökull and Hofsjökull. The landscape of this area is known for its colorful mountain ranges, hot springs, and volcanic rhyolite stones. It is one of the largest geothermal areas in all over Europe. It is no wonder why it became one of the most popular hiking areas and favored tours to do by helicopter. The hiking trails here range from 1 km long to 50 kms long. It is best to bring supplies, and a bathing suit if you like warm geothermal baths. 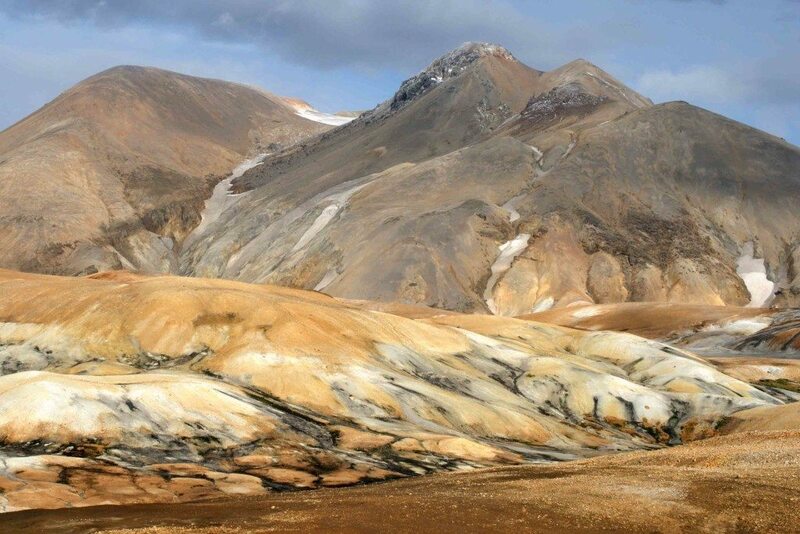 Kerlingarfjöll was the first of the first highlands to be accessed by road from the lowlands in Iceland.